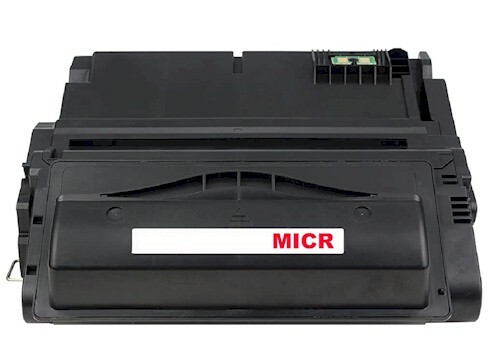 LCP MICR Toner Cartridge for Troy 4200 (02-81118-001) Q1338A MICR - Print your own checks with our Compatible Troy 4200 MICR Toner. This Compatible Troy 4200 MICR cartridge delivers excellent print value. This Compatible 02-81118-001 MICR Laser Toner Cartridge is a compatible black toner used in MICR check printing. For use in HP LaserJet 4200, 4200dtn, 4200dtns, 4200dtnsl, 4200n, 4200tn, Troy 4200 MICR printers. Compatible with MICR Cartridges: Q1338A, Q1338X, TJN-38A, 02-81118-001. Page Yield: 12,000 @ 5% coverage. This MICR toner cartridge is not a brand name cartridge from Troy Group. 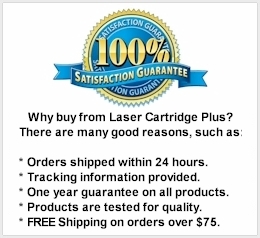 It is manufactured by Laser Cartridge Plus, Inc. (LCP) It is a generic replacement cartridge that is fully compatible with printers from Troy and it comes with a 30-day, no questions asked, money back guarantee!